Dhanvantari homa is a health-related vedic performance. 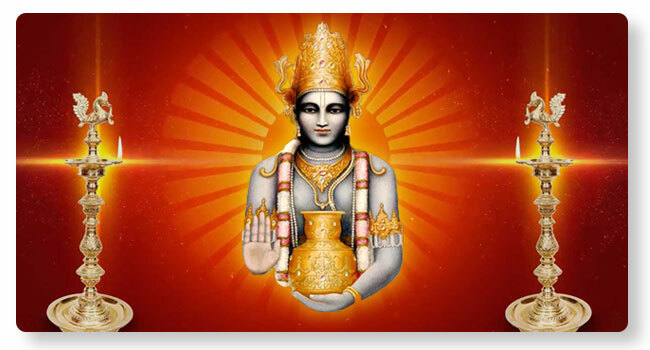 Dhanvantari is ‘Deva Vaidya’ or divine doctor who incarnated during the churning of the ocean of milk. Dhanvantari Homa can be performed on weekdays dedicated to Lord Vishnu. If the kartha is unable to sit and perform the homa, he can opt for a representative to sit on his behalf. Performed in the name of patients undergoing crucial surgeries and medical treatment. Believed to bring relief from prolonged and painful diseases. For the blessings of Lord Dhanvantari, to improve immunity power of all the family members.